When French beauty house, Clarins opened in 1954, few understood that its founder, Jacques Courtin-Clarins was an early wellness warrior who took an holistic approach to skincare, which was ahead of its time. It was a philosophy that would come into vogue decades later. 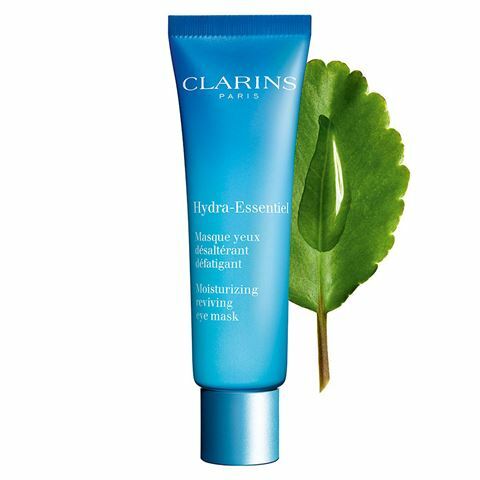 A devotee of natural plant extracts, Clarins understood that the best skincare evolved from using the natural products that felt good as they worked on the skin. He believed that everyone was beautiful and the role of the cosmetic house is to enhance that inner glow. It works in many different ways. Organic leaf of life extract encourages hydration, visibly reducing fine lines while horse chestnut essence helps to reduce the look of dark circles and heaviness around the eyes. Finally, Irish moss extract soothes for a fresh and rested look. No wonder this `Reviving Eye Mask' will soon become a favourite in your beauty kit. Contains Organic Leaf of Life extract, horse chestnut essence and Irish moss extract. Visibly reduces fine lines, reduces the look of dark circles and soothes the delicate eye area. Use overnight as a treatment or leave on for 10 minutes in the morning.